1step2be, a new free-of-charge portal is changing the way of donating to charities by allowing individuals to have full control over where the money goes for their clothes, without spending a penny. 1step2be turns unwanted textiles into money and donates the money to a cause of their choice. Not only that, a courier comes to the donors, weighs the textiles and tells them instantly how much their unwanted clothes will make for their chosen cause. Around 75% of households admitted to throwing away unwanted textiles rather than recycling, and as a result, the UK sends 300,000 tonnes of clothing each year to the landfill instead of sending it to a good cause or recycling. 1step2be wants to help reduce this waste and help support charitable causes at the same time. 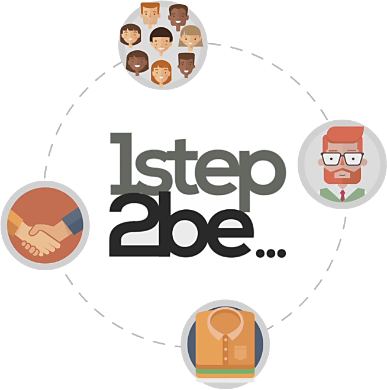 Jakub Czernecki, director and co-owner of 1step2be says: “1step2be was created based on in-depth market analysis which has shown us things that need to change to make clothes collections more sustainable, and easier for donors to get involved. “We realised how much waste bag collections has and wanted to find a way for this plastic use to be prevented. 1step2be doesn’t post bags through donors doors, and instead collects directly from their house meaning no unnecessary plastic. It makes it more convenient for the donors and charities using the service with them knowing exactly where the money has come from”. He continued: “Helping reduce waste is extremely important to us and turning that waste into money to help other people makes it all worthwhile. Fundraising for a charity has never been so simple, trustworthy and free”. 1step2be donates 13p for every kilo of clothes with the donor selecting were they want to money to go. Anybody can create a campaign and people can donate without spending a single penny. If you would like to learn more about 1step2be or set up a campaign go to https://www.1step2be.com​.